With the countdown to my holiday in full swing I have been getting in the mood with these two gorgeously Mediterranean scented items. A rich, luxuriant Body Wash formulated using the finest ingredients. Contains natural extracts of orange blossom, honey & olive, known for their soothing & nourishing properties, plus added moisturisers including Pro-Vitamin B5 to help keep your skin smooth & supple. This feels really luxurious, thick and creamy in texture. It is heavily scented so steer clear if strong scents are not your thing. When I use this in the bath I feel like I am sat in a big tub in the med, it is just gorgeous and leaves my skin incredibly soft and smooth, while the sweet scent of orange blossom delights my senses. The scent also lasts a long time after bathing but is not overpowering. An enriching and luxurious Hand and Nail Cream blended with olive oil, honey and orange blossom extract which are known for their soothing and nourishing properties. 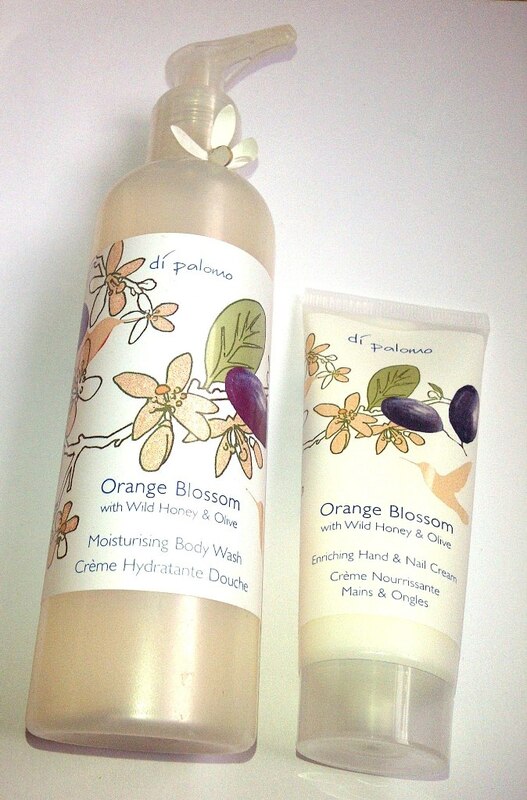 Also rich in Grapeseed Oil to leave your hands soft, smooth and nourished. 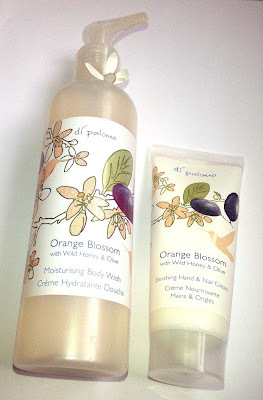 This has the same delicious scent as the body wash, it is a nice lotion consistency, absorbs fast and is non greasy. Leaves my hands feeling beautifully soft. Pretty packaging too. These look lovely! Where can you buy them from? Oh fab, which was your fave scent?